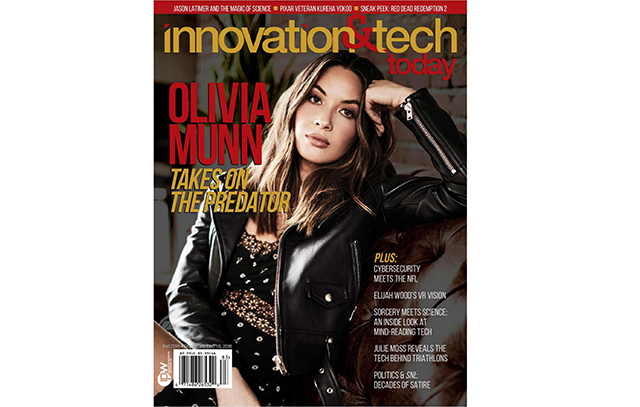 Innovation & Tech Today magazine brings you the latest news, products, and commentary from leaders in the tech industry. I&T Today was named Best BtoC magazine from the recent Niche Media Conference -- amongst over 400 titles. This cutting edge publication features fascinating content, interviews, and product reviews from across a variety of sectors including: STEM, Home Automation, Wearables, Energy and Transportation, Medical Tech, Business Innovations, Gaming and Entertainment, and Sustainability. Each quarterly issue 160 pages, perfectly bound, with rich and enticing photography. Exclusive interviews and stories with names like, Scarlett Johansson, Kevin Hart, Akon, Dr. Michio Kaku, Bill Nye, Neil deGrasse Tyson, Mark Cuban, and more. Go behind the scenes of innovation, must have gifts, and much more. This limited time offer is only available until October 31st, so act fast. All you have to do to get your copy for free is go here, and enter the required details.